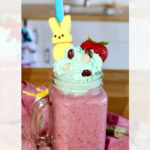 Smoothie recipes with mixed berries are so delicious! 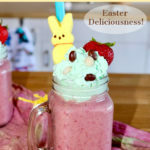 In fact we created the Easter Berry Smoothie just for this special holiday. So simple to make, with just a few ingredients. We made ours with frozen bananas, frozen mixed berries, milk or milk alternative, chia seeds, and a fun topping. 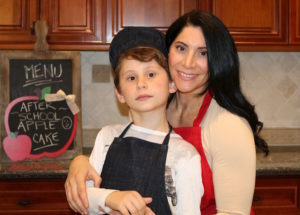 I always love getting creative during the holidays, and I start thinking outside the box making crafty fun food with the kids. Brody and I decided to make this easy smoothie with no added sugar, and it tastes great. We were talking about ideas for the Easter theme. 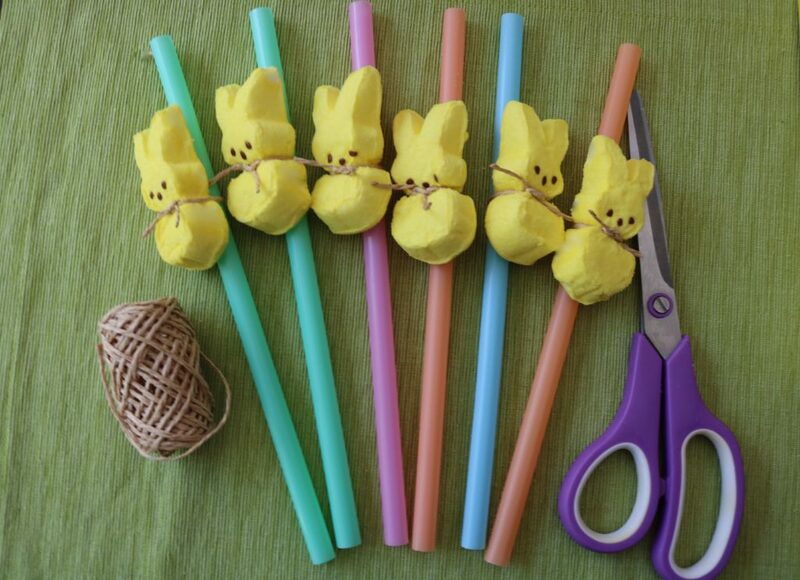 First, what’s Easter without Peeps? Haha! The bunny peeps were definitely going to be part of the theme, and the chocolate and yogurt covered raisins for the eggs. Finally, what could we use that was green on top of the smoothie. We almost used lettuce, but we weren’t too excited about that, especially since we didn’t use it in the smoothie. Then Brody suggested whipped cream, and the light bulb went on. Yes, let’s make the whipped cream green. Voila, there it is!! Actually, we’re very happy with the outcome. Fresh whipped cream, and it looks adorable. 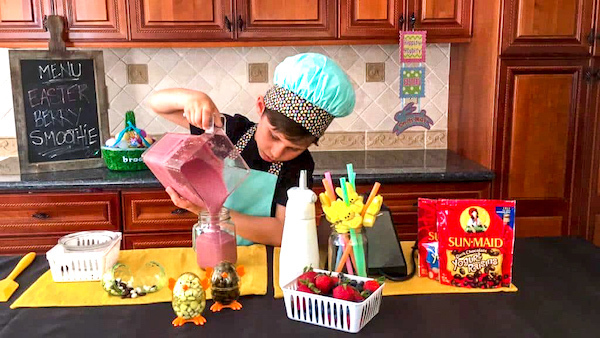 Brody was very proud of the smoothie he made. If you watch his video to the end, I think he surprised himself how delicious it was. 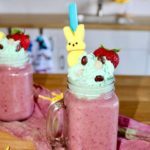 Easy to make Easter Berry Smoothie! We used the chocolate raisins to top the smoothie. I will usually buy organic when possible, but ended up using these raisins because they’re much smaller than the organic choices I had. I got lucky and found these baskets at the Dollar Tree. What a deal, 3 baskets for $1, :-)!! We used fresh whipping cream, added a few drops of green neon food coloring, and poured it into the bottle. If you don’t have whipped cream bottle then use a hand mixer, or the good old fashioned way by hand. In a medium bowl whisk until thickens and fluffy. Don’t over whisk, it will start to separate and won’t have a nice consistency. IT LOOKS AND TASTE AMAZING! Blend the frozen bananas until creamy, and all lumps are gone. This may take a couple minutes in the blender. At first blending it will be chunky, then mealy, and slowly it will turn smooth like ice cream. When the bananas turn to ice cream, add the frozen berries, milk, and chia seeds. I personally like my smoothies with a thicker consistency, so here’s a few tricks I use for a thicker smoothie. Avocado is great for thickening, and adds a creamy consistency as well. Use less liquid. Add all the ingredients to the blender, with frozen ingredients on top. Add the liquid a little at a time, blending until your desired consistency. WHAT LIQUID SHOULD I PUT IN MY SMOOTHIE? This is a great question, as the possibilities are almost endless. With so many milk alternatives, and flavored liquids on the market you can use your favorite. Here’s some ideas. Milk or milk alternatives: almond, oat, soy, coconut, hemp to name a few. Fruit juices: apple, orange, pineapple, cranberry, grape, and many more. Adding fruit juice increases the sugar and calories. Coconut water, flavored water, or just plain water. This will definitely keep the sugar grams lower. 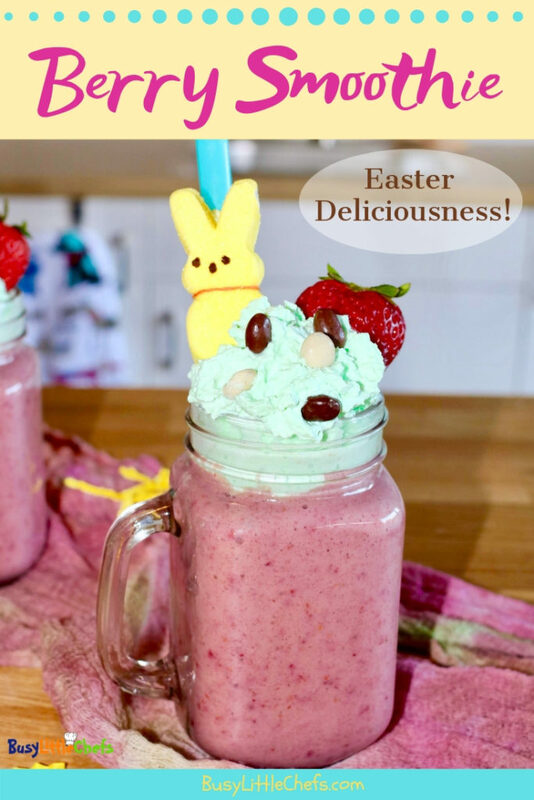 Please let us know if you like the smoothie, and leave us a comment below, or come visit us on social media. Slice bananas and put in freezer safe bag. Freeze at least 4 hours, or overnight. Add frozen bananas to the blender, and blend until all lumps are gone, and it's creamy like ice cream. This could take a couple minutes depending on your blender. Then add the frozen berries, milk, chia seeds, and blend some more. When all blended and smooth, pour into your glass and add the toppings. Serves 4 6oz We used milk, but you can create this recipe as non-dairy using almond, soy, coconut, or a beverage of your choice.